Shopping for Historical Figures Bobble Heads? It's President George W. Bush's dog as a bobble head! 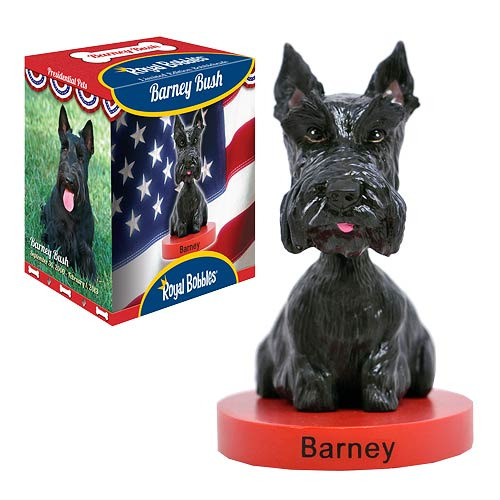 This Barney Bush Bobble Head features an incredible likeness to the presidential pup. Standing 6-inches tall, this is the perfect bobble head for any Barney Bush fan! Ages 14 and up.